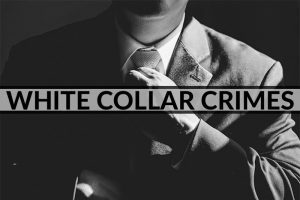 Have you or a loved one been charged with Bank, Wire, Mail, Mortgage or Healthcare Fraud white collar federal crimes in Southern California? Are you looking for early release from Federal Prison, an RDAP Sentence Reduction, or extra halfway house placement via the Second Chance Act. Wall Street Prison Consultants provides services to defendants being charged in the U.S. District Court for the Central District of California. Our federal prison consultants, sentencing consultants, and Federal sentence reduction prison experts, consists of retired Federal Bureau of Prisons staff, along with former federal inmates, and mitigation specialists. Our professional prison experts have extensive knowledge of Federal Law, the Federal Court System, and inner workings of the BOP. Wall Street’s goal is helping clients obtain a BOP RDAP Program Federal sentence reduction and a Second Chance Act early release when possible. We train clients in prison survival tactics while assisting them in getting back to their loved ones quickly as possible. Why Hire a Prison Consultant? Defendants charged with crimes, are often confused listening to family members and others opinions about what will happen to them, and whether hiring a prison consultant or federal sentencing expert is helpful at all! Everyone has opinions…but are they qualified opinions? Once sentenced, it’s the defendant whose freedom and safety are in danger, with everyone else’s well-meaning opinion being worthless! When fighting a criminal case, Knowledge is Key, and hiring a prison consultant with FACTS instead of opinions, can be the difference in EARLY RELEASE, and spending unnecessary time in custody. Wall Street Prison Consultants guides its clients through the phases of Indictment, Trial, Sentencing, and Prison Survival through Supervised Release. By using our services, clients develop an edge when dealing with their lawyers. We take the mystery out of the judicial/court process by educating clients with easy to understand step-by-step explanations on Federal Criminal Statues, Indictments, and the Sentencing Guidelines and how it applies to them, so they can make educated decisions about their case and understand the ramifications of a trial versus cooperating with the government or taking a plea. Those being charged with federal crimes by the U.S. Attorney in the Los Angeles area, and are unable to make bail (bond) or get released on their own recognizance, are held at the Los Angeles Metropolitan Detention Center. MDC Los Angeles is a federal jail located in Downtown L.A. at 535 North Alameda Ave, Los Angeles, CA 90012. LA MDC is operated by the Federal Bureau of Prisons (BOP), an agency of the U.S. Department of Justice. MDC L.A. holds approximately 900 male & female federal pretrial detainees and probation violators in the U.S. District Court For the Central District of California. Many inmates are going the trial process or awaiting sentencing, or have been denied bail by a Federal Magistrate Judge and may have been deemed a flight risk or threat to the community. Riverside, San Bernardino, Orange, Los Angeles, San Luis Obispo, Santa Barbara, and Ventura. The Courthouses are open Monday thru Friday from 10:00 AM until 4:00 PM and closed on weekends and federal holidays.